Earlier we had some rumors saying Apple is about to launch a 7inch iPad to compete with the smaller low priced tablets, but before we get any confirmation we might see Amazon presenting another 10.1inch tablet, with a 9.7inch screen, which will compete with the 10 inch iPad tablets. According to a recent report by DigiTimes the low priced tablet from Amazon might be on its way to the market by the third quarter of the year. In the report they have also note that along with the 10.1inch model there might be another 8.9 inch model which might just be a speculation. It is also been expected that order for the new Amazon might ramp by the end of this quarter only. 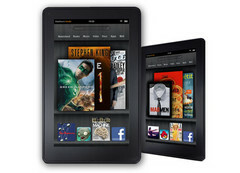 Amazon is said to have an expectation of shipping 30 to 40 million tablets by the end of the year. Earlier it has been reported by Taiwan Economic News that Amazon is preparing to launch three new tablets this year, which will be of lower and higher range price and specifications. It also said that three models will be of low end 7 inch model with a resolution of 1024x600 pixels of resolution and a medium model with 1280x800 pixels of resolution and an 8.9 inch model of 1920x1200 pixels of resolution. 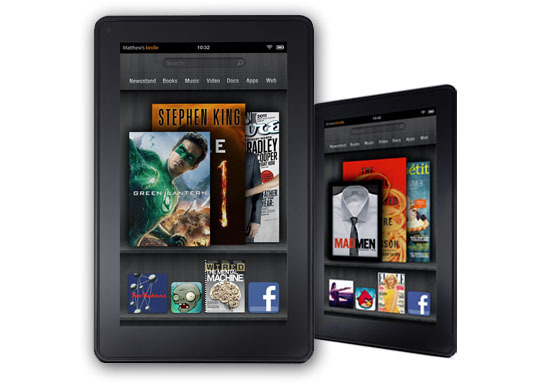 Earlier Amazon’s Kindle Fire which was based on BlackBerry PlayBook tablets core design reported sales of 4.7 million units by the end of fourth quarter of 2011 and shared 16.8 percent tablet market share. It will be interesting to see how these large tablets will compete with the iPads. If they get launched at very low price from that of the iPads they might get a good market share comparing with the earlier models.